Let’s get ready to rodeo! Break out your boots, belt buckles, and cowboy hats and head to Will Rogers to experience the last FWSSR to be held in this beloved coliseum before it is moved to the new Dickie’s Arena in 2020. I don’t know about y’all, but for me, the start of the Rodeo is similar to the feeling of waking up on Christmas morning… It is the 23 days that all of us here in Fort Worth (and all around) look forward to and so dearly cherish. For 122 years, the FWSSR has shined as the heart and soul of Fort Worth. What began as a little cattle show on a muddy Northside creek bank has grown into something truly legendary– Today’s FWSSR is bigger and better than ever, while still remaining true to its roots, traditions, and values. If you’re a local, you know the FWSSR is one of the premier events of the year. But for those of you who have yet to experience it, I’ve put together a list of some of my favorite events, hotels, local restaurants, and my personal recommendations of where to find a good time at the legendary Fort Worth Stock Show Rodeo 2019!! • Walk to Stock Show from this house with a hot tub! • Stockyards Hotel: Known for its rich ancestry, historic architecture and unique character, the Stockyards Hotel offers period accommodations in an atmosphere of relaxed elegance. Restored to its original elegance and grandeur, every guestroom is unique in its decor reflecting the era of the Old West and the early 19th century. • The Omni Hotel: A stunning blend of native building materials and ultra-modern glass, the Omni represents progressive luxury and offers amenities illustrating the Western spirit embodied by the city that surrounds it. Conveniently located in the heart of downtown Fort Worth, the hotel is adjacent to the Fort Worth convention center and within walking distance from the city’s cultural centers, restaurants, and nightlife. • Joe T. Garcias Mexican Restaurant: A Fort Worth staple since 1935. If you want an unbeatable outdoor atmosphere and some dang good margaritas, Joe T’s can’t be beat. • H3 Ranch: Live Hickory Wood Grill located in the heart of Fort Worthâ€™s Historic Stockyard District. Named one of the best steakhouses in the Fort Worth/Dallas area, Hunter Brothersâ€™ H3 Ranch, Live Hickory Wood Grill offers a wide variety of steaks, rainbow trout, lip-smackinâ€™ ribs, chicken, spit-roasted pig and much more. • Del Frisco’s Double Eagle Steakhouse: If you’re wanting to really live it up and go big, look no further than Del Frisco’s. Enough said. • Railhead Smokehouse: Voted the best BBQ in Fort Worth. “Life’s too short to live in Dallas” is the motto at Railhead and they proudly show it. Railhead offers a spectacular menu of heaping plates of ribs, sliced beef, fries and cheddar peppers. Weekday specials, beer and margaritas are also available. • All-Western Parade (Jan 19 at 11:00 AM): Don’t miss the tradition of the Fort Worth Stock Show’s All Western Parade in Downtown Fort Worth! The Stock Show Parade is held each year to kick off the FWSSR events. More than 100,000 spectators line the streets of downtown Cowtown to watch this spectacular annual event. An all-western parade means plenty of horses and wagons but no motorized vehicles are allowed! • Best of The West Ranch Rodeo (Jan. 18 & 19 at 7:30 PM) : Ranch Rodeo is the real deal… Featuring authentic ranch cowboys competing in events that display aspects of traditional ranch work. Ranch vet, double mugging, stock sorting, bronc riding, ranch girls barrel racing and wild cow milking (highly entertaining) are all in a day’s work for these cowboys. Come see the ranches compete to be named Champion Ranch, Top Horse and Top Hand! • Bull’s Night Out (Jan 22 & 23 at 7:30 PM): Each night 40 of the toughest PRCA Bull Riders will take their shot at an 8 second ride on some of the rankest bulls around to earn nightly championships. It’s a night of the unexpected, dangerous and thrilling action! • RodeoX Extreme Team Competition (Jan 24 at 7:30 PM): Rodeo X is not your ordinary rodeo, putting the talents of the nation’s top cowboys & cowgirls on the line to represent their team in a two-round elimination. Fast-paced rodeo action featuring top contenders from rodeos across the country competing for a $100,000 purse on this exciting night– Go Team Fort Worth!!! • The World’s Original Indoor Rodeo (Jan. 25- Feb. 9): The events are more than a hundred years old, but with each passing year, the competition gets tougher. Sanctioned by the Professional Rodeo Cowboys Association, the World’s Original Indoor Rodeo offers more than $700,000 in prize money making it a most sought-after win for those seeking an early lead in standings. Many of the rodeo’s monumental moments happened in the place we simply call “Will Rogers”. Don’t miss the last year of professional rodeo in a fabled coliseum with a rich history and bright future. • Mustang Magic Freestyle Finals (Jan. 26 at 6 pm?? ): Mustang Magic returns to the Fort Worth Stock Show & Rodeo! This invitation-only event features competition between past top-placing Extreme Mustang Makeover trainers. This event is SO much fun for the entire family—highly recommend!! • Carnival / Midway: Let the bright lights and sounds of laughter guide your way to six acres of excitement, from old-fashioned amusement park rides to breathtaking thrill rides. This year, the Magic Money wristband will make it convenient for patrons to enjoy rides and games and purchase food! • Reata at Backstage Club: Overlooking the coliseum, the member’s-only, private Backstage Club has an extensive history of dining and social gathering for more than 50 years, and has been frequented by politicians, movie stars and other celebrities. This is the perfect place to eat, drink, and mingle while enjoying the Rodeo from the viewing window to the arena below. *Limited memberships are still available and can be purchased here. 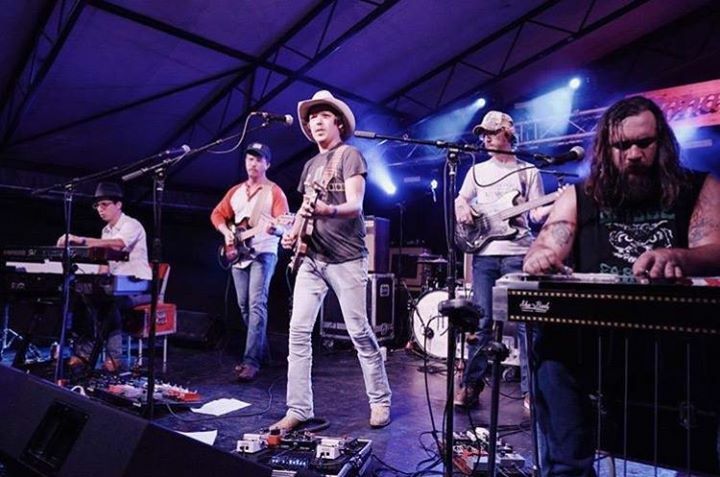 • Coors Light Roadhouse (a.k.a The Tent): If you’re looking for a good time after the nightly rodeos, be sure to head to The Tent for live music and a whole lot of two-stepping! The musical line-up this year is seriously impressive, including Deryl Dodd, Jon Wolfe, Mickey & the Motorcars, Cody Canada, and many more!! See the full performance schedule here. Admission is free with a rodeo ticket, a daily grounds admission, Stock Show badge, souvenir pin, or museum membership. Otherwise, admission is $10. • Stock Show Goes Pink | Jan. 29th : Half of all rodeo ticket & grounds admission sales go to the Greater Fort Worth Affiliate of Susan G. Komen. Survivors receive FREE rodeo tickets. Call 817.735.8580 or visit komengreaterfw.org for more information. • TCU Day | Jan. 31 : Shout out to my frogs!! Wear your TCU duds for FREE grounds admission (not including rodeo) or come to the Rodeo Ticket Office with a valid TCU Student I.D. and get a rodeo ticket for $10. • Cook Children’s Day | Feb. 6: Half of all rodeo ticket sales will go to support the Neonatal Intensive Care Unit at Cook Children’s Hospital. Help to give big dollars to the rodeo’s tiniest fans!